While, yes, there are VFW post and American Legions, this is not the same type of venue. Our vision of the new Veteran Center is a location that a soldier can sit down with the best that Monroe County has to offer to get all of the well earned benefit programs we can find! Food/Household Pantry – Open every day for those in need. Major distribution is last Saturday of each month. Pre-registration required. 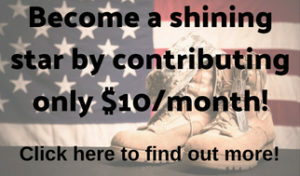 We serve each Veteran on a case-by-case basis since the needs of each are unique. 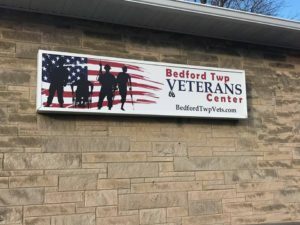 We generally serve Veterans and their families in the greater Bedford area, though we will never turn away any Veteran in need!